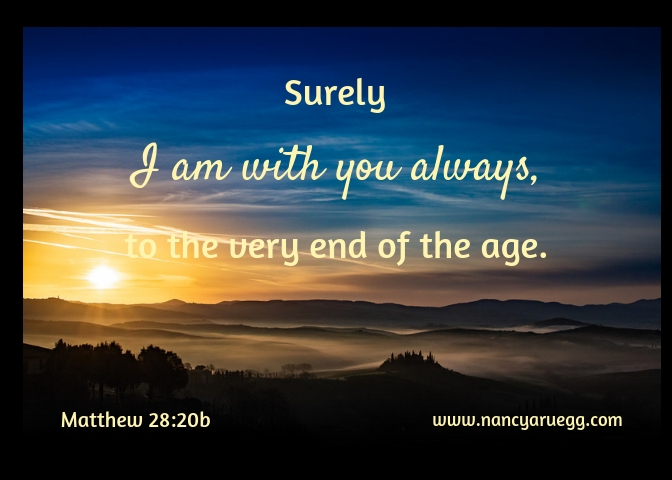 Jesus made it perfectly clear: “Surely I am with you always, to the very end of the age” (Matthew 28:20b, emphasis added). And in our minds we affirm that truth. Yes, he’s invisible, but we know God is involved in our lives. We look back over our personal histories and see evidence of his work, as he engineered circumstances for our good. But sometimes our emotions long to feel his bodily presence. Wouldn’t it be wonderful, we daydream, if he literally took us by the hand, put his arm around our shoulders, or pulled us toward him in a close embrace? Sometimes our ears long to hear his voice, telling us loud and clear exactly what step to take next, encouraging us we’re headed in the right direction, or offering perfect words of comfort that assuage our pain. And sometimes our spirits long for assurance of his love in spite of our frailty, that progress in maturity is occurring, and the trials we face today will have meaning tomorrow. There have been close encounters. Every now and then we’ve come within an angel hair of his touch—he felt that close. We’ve received impressions so strong they’ve almost been audible. And we’ve sensed his affirmation in our spirits that immediately settled our uncertainty for the moment. God isn’t even the width of an angel hair away from us. Remember the passage where Jesus declares he is the vine and we are the branches (John 15:5)? Just how far is the branch from the vine? And because he’s right there, we can face uncertainty. God is no cheerleader, standing on the sidelines and shouting encouragement. 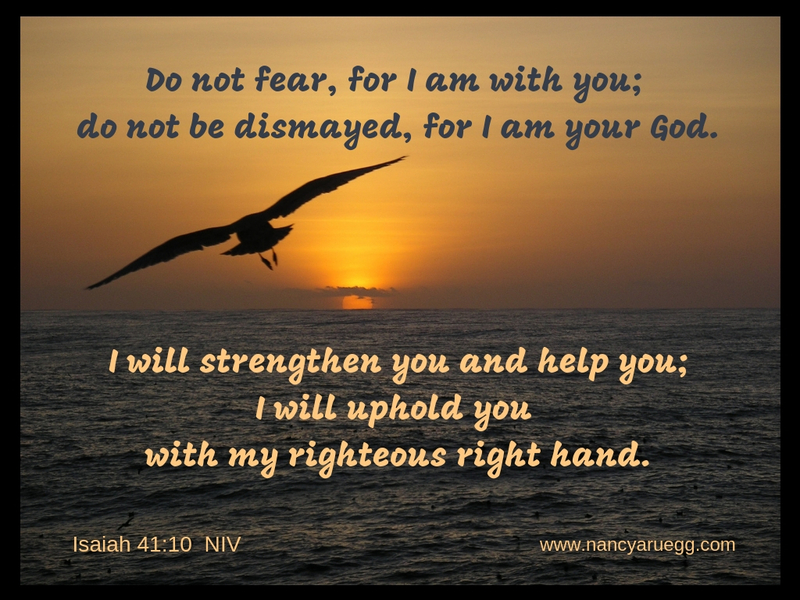 He’s promised to be deeply involved, to strengthen, help, and support (Isaiah 41:10). God hasn’t lost his voice. He most often chooses to communicate with us through his written Word. But sometimes he speaks to us through other Christians—their writings or spoken words. And he still implants impressions into the quietness of our souls—if we sit still long enough to listen. God wastes nothing. Every event, every relationship, every circumstance has potential for meaning and benefit somewhere down the road—including mistakes, disappointments, our own poor choices and those of others. They become transformational moments to develop our maturity and prepare us for opportunities to come. Moses, once prince of Egypt, reduced to tending sheep for forty years. Yet God chose him to lead his people out of slavery. Young Daniel, taken captive to live faraway in a strange culture. Yet God’s plan included his rise to provincial ruler in that land. 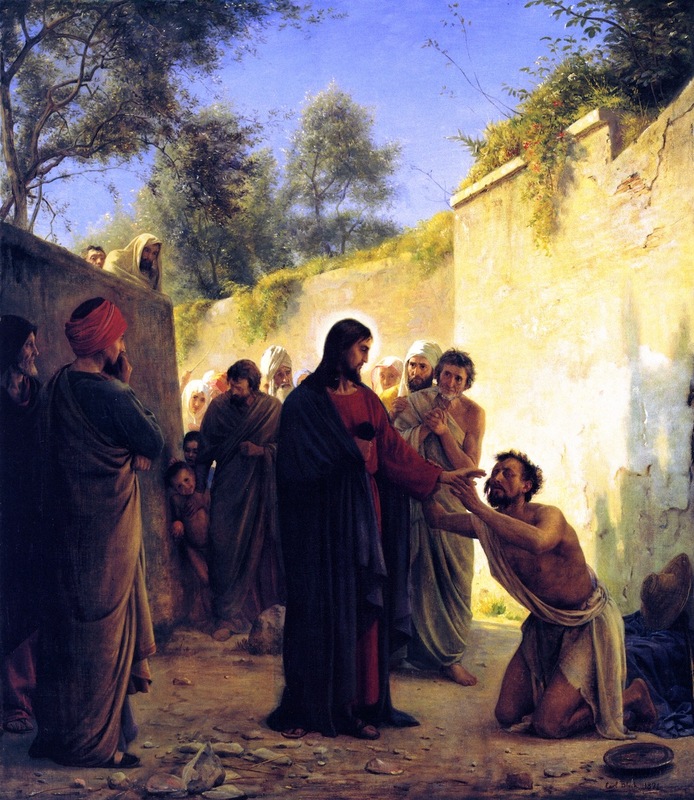 The man born blind, in order to one day display the work of God in his life (John 9, especially v. 3). God doesn’t require hoop-jumping. We don’t have to conjure up articulate prayers to access his presence or follow a prescribed set of steps to avail ourselves of his guidance, comfort, and power. Even the simple act of speaking Jesus’ name invokes all that he is and all that he can do (John 16:24). How reassuring to know: “When there are no words, when there is no strength, there is always his Name” (1). God intends for us to use it. God is on our side. We. Cannot. Lose (Romans 8:31-37). Now the question becomes: Will we move forward on what we know, or stagnate because we cannot see, hear or touch? (1) Faith is a quality God greatly values. “Without faith it is impossible to please God” (Hebrews 11:6). But all it takes is the equivalent of a mustard seed (Matthew 17:20), and our God can move mountains of insurmountable difficulty! Art & photo credits: http://www.flickr.com (Salvatore Gerace Tuscan); http://www.pixabay.com; http://www.photolib.noaa.gov; http://www.wikimedia.com; http://www.canva.com. Our son was telling me about the church he and his wife attended at the time. Several months later, I happened to be visiting when the mother and daughter were scheduled to play. 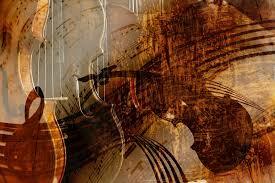 My heart was filled with delicious anticipation that Sunday morning as they approached the piano with their violins. Soon soft, mellow notes of melody and harmony resonated through the broad, high-ceilinged sanctuary. My son had not been exaggerating. They were both gifted violinists. I had to hold back the tears. Yes, the sweet music touched my spirit. However, my response arose from more than that. The music was greatly enhanced by the mystical bond between mother and daughter. One evidence of that bond was the subtle means by which the two remained in sync. The mother would nod her head or sway slightly as she directed the music. However, the girl didn’t actually watch. Just every now and then she would make eye contact over her violin–and smile at her mother with angelic innocence, tenderness, and purity. Her eyes seemed to say, “I love doing this with you.” Mother smiled her love and pleasure in return. In fact, the very atmosphere seemed to be permeated with love during those moments. But the affection of parent and child was only a part. The Spirit of God and his love flowed in wondrous waves through the music and that mother and daughter. 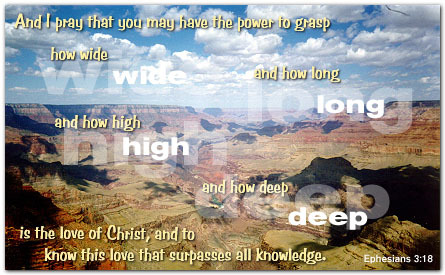 God’s love—the width, length, height, and depth that Paul spoke of– filled every nook of that sanctuary. Surely I was not the only one who felt wrapped in God’s warm embrace during those moments. And to be loved by God is no small matter. He is the Master of the universe and the King of glory. 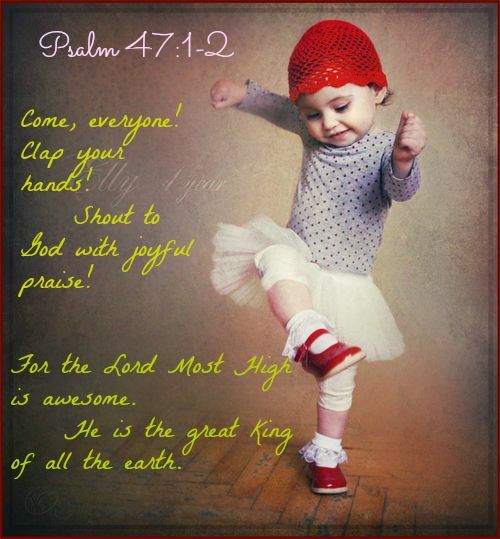 Angels sing his praises continually. 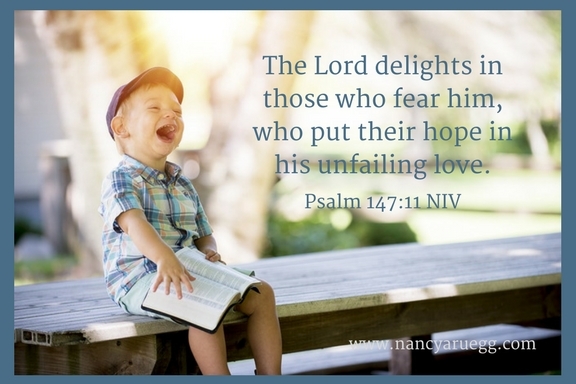 And yet he delights in us, who reverence him and put our hope in his unfailing love (Psalm 147:11). Isn’t that knowledge alone enough to astound the intellect and overwhelm the heart with joy? The only possible response is worship, from a heart overflowing with gratitude. An overflow that often becomes tears, as praise intertwines with the invisible but palpable touch of God. When has the overflow of love for God and gratitude to him brought you to tears? Please share your story in the Comment section below! Why Does God Desire Our Worship? 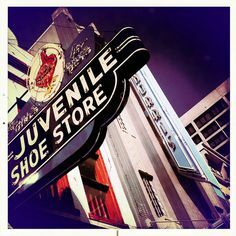 Eons ago when I was in seventh or eighth grade, Mom, Dad, and I made our way one evening to the shoe store downtown. As we trudged up the slight incline toward the entrance, I ended up walking behind them, in order to leave room on the sidewalk for pedestrians coming from the other way. Imagine my mortification when my parents clasped hands. “Please! Not in public!” I begged. After all, they were old—in their mid-thirties. And at age thirteen, I was embarrassed enough to be seen in public with them. But to be in the company of parents showing affection? That was too much. As adults we smile at the immature and almost comical responses of most young teenagers toward their parents. They like to pretend Mom and Dad don’t exist, in support of their burgeoning, highly exaggerated independence. They conveniently forget who pays the bills, helps with homework, does the chauffeuring, and provides care in countless other ways. Some of those teens never lose that sense of highly exaggerated independence, even as they grow into adulthood. They conveniently forget who still provides care for them in countless ways: God. To ignore him as if he doesn’t exist is to behave like a middle schooler. God deserves not only our attention but our worship. 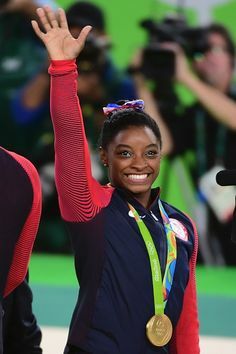 Think of it this way: If an Olympic gymnast out-performs the competition with a nearly flawless performance, she deserves applause from the crowd and that shiny gold medallion. We do not scorn the adoration and accolades she receives; she’s earned it. Hasn’t God earned the same, only more so? God knows: if our worship is not centered on him, we easily fall into the worship of other things: career, material goods, leisure, adventure—any number of pursuits that can consume our attention. Not that it’s wrong to enjoy these things, but they will never provide deep down soul-satisfaction. God made us with that deep-down place; it’s reserved for him. 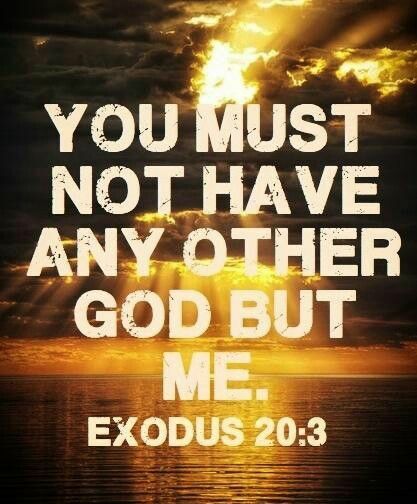 That’s why the first of the Ten Commandments is about worship (Exodus 20:3). Worship determines what we become. Ammerman further explains: “If we worship material possessions, we become more materialistic. If we worship self, we become more selfish still” (1). If we worship the adrenalin rush of exciting pursuits, we’ll continually look for more exhilarating thrills. God wants us to worship him so we’ll become more like him—gracious, good, compassionate, and kind (Exodus 34:6). Worship communicates God’s presence to men. Adoration, praise, and gratitude create an atmosphere in which we can meet with God almighty (Psalm 89:15-17). And such encounters always result in joy (Psalm 16:11). Sometimes that occurs in a glorious, public celebration with other worshipers; sometimes it occurs in sweet, private communion. Worship is a necessary outlet of the spirit. When we hear superbly good news, our natural inclination is to tell others about it. We’re social beings, after all. Research has suggested that when we share a positive experience with someone else, we are essentially enjoying it again as we relive the moment in the retelling and savor the experience once more (2). It’s the way God made us – not only to expand our enjoyment with family and friends, but with him, our Heavenly Father. To know him and be known by him, to experience him is a God-given pleasure that nothing else can satisfy. (1) from Quote, Unquote, compiled by Lloyd Cory, Victor Books, 1977. Photo & art credits: www.pinterest.com (5). I’d love to hear your thoughts on worship. Please leave a comment below! “Mail’s here early today!” called Lorna, as she entered the kitchen. Oh, that was good news. 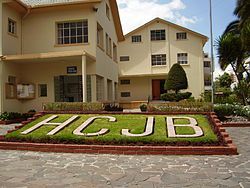 Living far from home in Quito, Ecuador made letters a very precious commodity. “Terrific!” I responded, and dashed upstairs to get my keys. Lorna and her husband, Elbert, served as missionaries with HCJB. I was a short-termer, living with them for the four months of my assignment as a preschool and kindergarten teacher. The compound was only a brief walk from the house. Once there, it was just a matter of unlocking the gate, heading down the main walkway a short distance, up a few steps, and into the post office alcove where all our mailboxes were located. I jogged the whole way there and back, excited to read my mail. But no sooner did I return home than my head started to pound, nausea engulfed me, and all I wanted to do was lie down. Never mind those coveted letters! My problem was not a sudden onset of the flu, but mild hypoxia–oxygen deprivation. Quito is located 10,000 feet above sea level in the Andes Mountains. My experience (as well as those of countless others) proves: we humans require oxygen—lots of it. Even folks who live near sea level can suffer from lack of oxygen, because they’ve become accustomed to shallow breathing. Their bodies never receive enough oxygenated air, causing them to feel short of breath and anxious. On the other hand, research has proven that deep breathing helps us manage stress and anxiety, lower blood pressure and heart rate, and even spark brain growth. By not taking slow, deep breaths now and again, we deprive ourselves of these benefits. M-m-m. Reminds me of Ecclesiastes 2:10-11, where King Solomon lamented the results of shallow living: chasing after wealth, accomplishments, and pleasure. In the end, nothing gave him lasting satisfaction and fulfillment. Shallow living brings on symptoms in the spirit, similar to oxygen deprivation in the mind and body: heartache, fatigue with life, nausea from repetitive, meaningless activity, and shortness of temper. “Oh, the utter extravagance of his work in us who trust him—endless energy, boundless strength” (Ephesians 1:19, MSG)! Deep living happens when we breathe in God’s strength with a prayer, his wisdom and encouragement with a scripture, his joy with a song. Deep living happens when we practice his presence as automatically as we breathe. 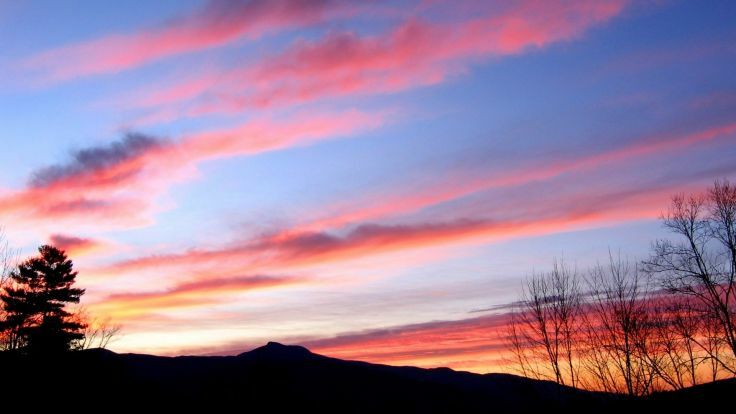 By pausing frequently throughout each day, to turn our attention to God. Thank You, Lord, for this new day. Work through me to accomplish your purpose. I love you, Heavenly Father. Thank you for filling my heart with peace and joy every time I turn my attention to you. Thank you for your power at work in me as I complete this task. The wonders of your creation–graceful tree branches dancing in the breeze, lyrical songs of the mockingbirds, delicious aromas of pine and orange blossoms–They make my heart sing with praise! Oh, Lord, I shouldn’t have spoken to Mary like that. Forgive me, I pray. Help me to think before I speak. And yes, I will apologize to her. Refreshing. Energizing. Purifying. Like a deep breath of oxygen. Shallow breathing causes a lesser quality of life. So does shallow living. Deep breathing fosters strength of mind and body. Deep living does that and more. Deep living radically transforms the spirit. What deep living habits help you practice the presence of God? One custom of our church community includes the babies and toddlers. Toward the end of the worship service, many parents collect their little ones and bring them to the sanctuary for the closing praise songs. When our two-year old granddaughter, Elena, arrives, she starts out in Mommy’s arms, then clambers to Daddy, then over to Papa (my husband, Steve), and finally to Nana—that’s me. Last Sunday she was particularly affectionate—arms around my neck, head nestled on my shoulder. Every now and then she’d lift her head to give me a kiss on the cheek. I held her close and kissed her silken hair. Please understand: Elena is a typical toddler. She knows what she wants and when she wants it (usually NOW!). Her expressive cries can be quite vociferous. But those traits of stubbornness and impatience—seen in most toddlers–don’t diminish my love for her. Not a bit. I reveled in that moment of tenderness at church, while swaying to the music and singing of our love for God. In my mind’s eye, I saw myself as the child, held in the close embrace of my Father, who lovingly forgives my sins and casts them as far as the east is from the west. What an astounding privilege he grants us—to participate in close, familial communion with him, the King of the Universe! Through creation. Just this morning, he draped pink cloud-ribbons across a crystalline sky, turning our minds to him and his infinite genius. Almighty God orchestrates every intricate aspect of life on our planet, yet we can know him as our gracious and compassionate Father. Through his Word. Just this week I had occasion to study the word, abide, found in John 14:6. “And I will pray the Father, and he shall give you another Comforter, that he may abide with you for ever” (KJV). First I looked up the word in the dictionary, and discovered abide means much more than just being with someone. Abide also includes persevering under (!) and tolerating (! ), in addition to remaining in one place, to continue or endure. I had to smile at the tongue-in-cheek humor. And I prayed, “Oh, Lord, thank you for loving me that much! Through people. A young woman at our new church has been enthusiastically friendly. And though I’ve told her I appreciate her kindness, I doubt she can fully understand how her interest, hugs, and effervescence have ministered to me. 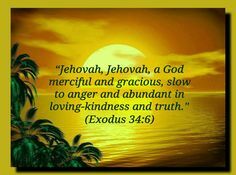 God draws near with his joy each time we meet. Through circumstances. 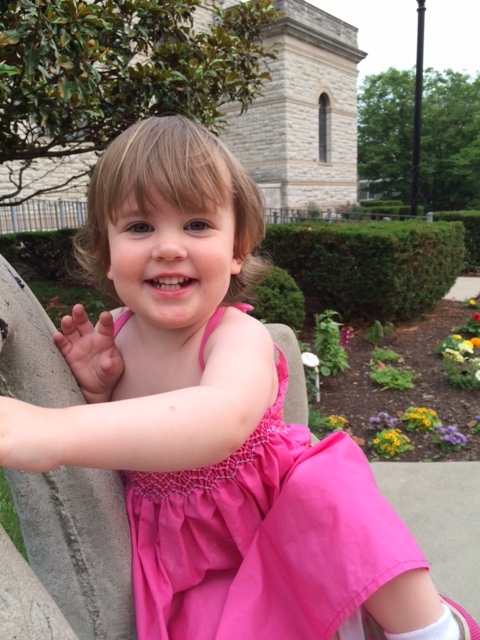 Hugs and kisses from a toddler are just one precious example that makes me mindful of God’s love for me. You long for us to be your familial friends. Always drawing us closer to you. Finally, at sunset, Jacob had to stop and rest. In a grassy meadow surrounded by trees, he spotted a low, flat rock, perfect for a pillow. He folded his sash into a smooth bundle, to add a bit of softness under his head, then wrapped himself in his outer robe, and promptly fell asleep. The truth is, the area where Jacob rested that first night as a runaway, was far from pleasant. The landscape was scrubby, rocky, and desolate, which surely accentuated how very alone he was. I doubt that Jacob rested comfortably or fell asleep quickly. For all he knew, Esau was in hot pursuit. And though Jacob was headed to the ancestral home of his mother, it’s doubtful he’d ever met any of those relatives. What would they be like? How would he be treated? Between the uncomfortable “bed,” and the worrying and wondering, who could rest? But Jacob had covered many miles that day. Exhaustion finally took over, and he slept—soundly enough to dream. You know the story. 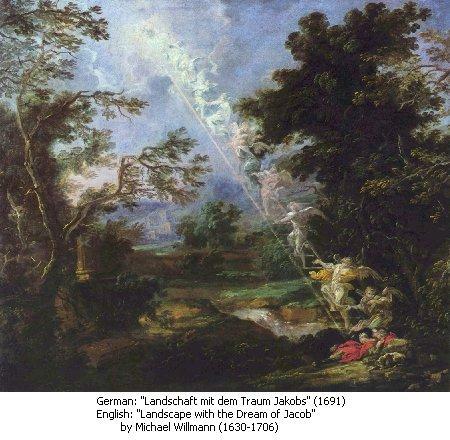 Jacob was witness to a glorious sight: angels of God, ascending and descending on a stairway that reached all the way to heaven. The land on which he lay would one day be his. His descendants would be as numerous as the dust on the earth. All the peoples of the earth would be blessed through Jacob and his offspring. God would be with him to watch over him wherever he went. Jacob awoke, astonished by his dream. Perhaps he was a bit disoriented by the darkness and desolation, when just a moment before he was surrounded by ethereal light, gazing at angels on a glowing staircase, and listening to the voice of God. “The Lord is in this place!” he breathed. 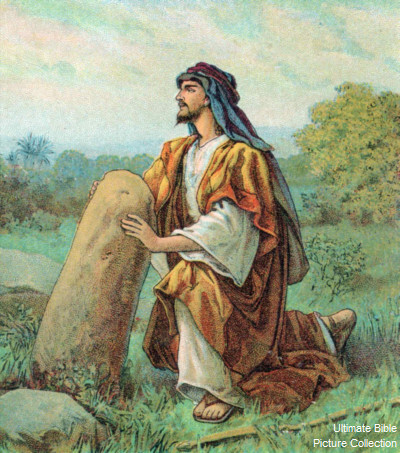 Jacob took the stone pillow and stood it up on end as a pillar-reminder of the momentous occasion. And he renamed the location, Bethel, which means house of God (Genesis 28:10-19). The day-to-day routine is unpleasant and boring. “God’s presence with us is his greatest present to us” (Joanie Yoder). The problem is, we’re often unaware just as Jacob was. Slow, somber music faded away. 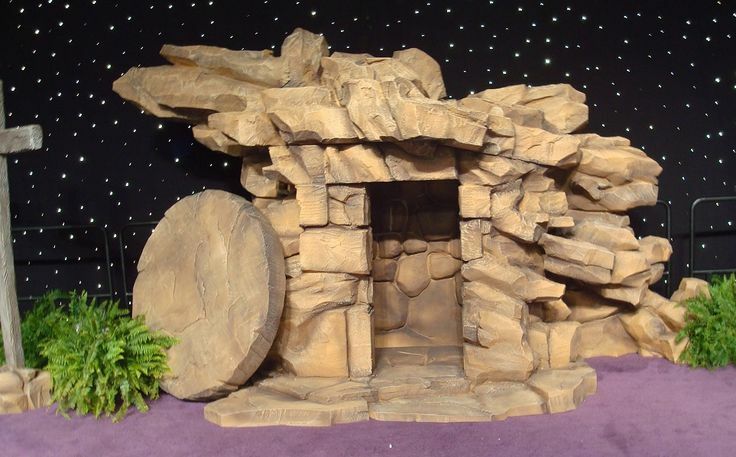 All lights were extinguished, including the spot on the cave-like tomb, stage left. Black silence enveloped us for several moments as the burial scene concluded, a dramatic part of the Easter musical production at our church. In a hushed voice, the narrator picked up the story. He explained that when Sunday morning came, women went to the tomb. We, the audience, could see them approaching from stage right, talking among themselves. They peered into the tomb, and cried out as they discovered the body of Jesus was gone. No sooner did they begin to question what might have happened, than an angel suddenly appeared next to them. I don’t mean, “walked up and joined them.” No. One moment that angel was nonexistent; the next moment there he stood, gleaming brightly. How did the stage crew create such a startling scene? They used a scrim, a large sheet of gauzy fabric, behind the back of the tomb. When the tomb was lit from the front, everything behind the scrim was invisible. When the spotlight behind the scrim came up, suddenly the audience could see the angel. That scrim-effect made me think: we live with a virtual scrim in front of us every day. We cannot see what God has planned for us in the future. Events of tomorrow—even this afternoon—are blocked from us by black silence. In his infinite wisdom God has determined that’s the best way for us to live. But! 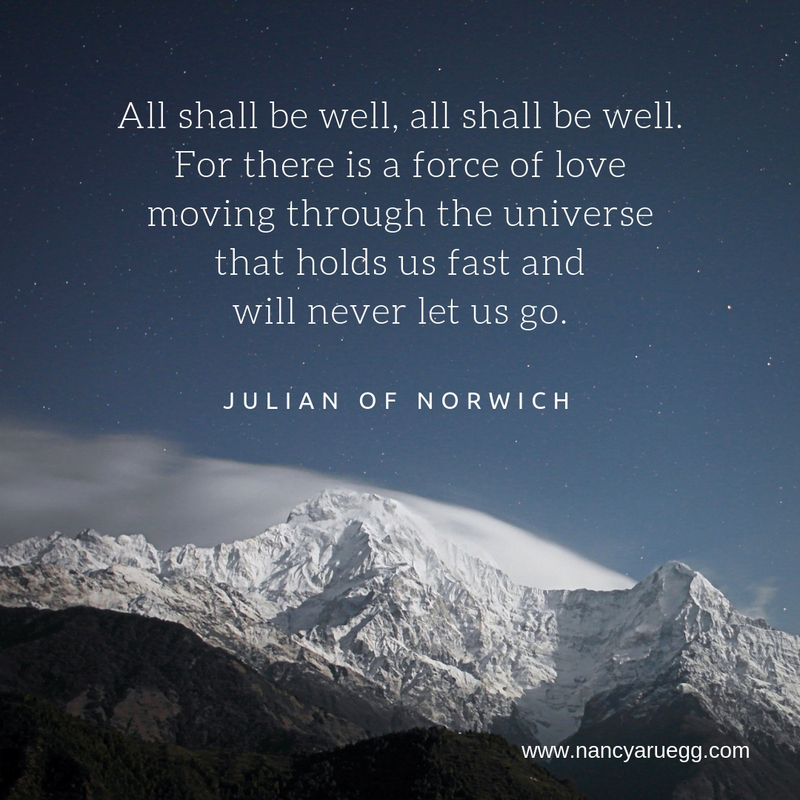 After the fact–after events unfold—sometimes we’re able to look back to see behind the scrim, and note how God orchestrated events for our benefit. I’m remembering a particularly difficult move years ago. We were leaving a much-loved church where my husband had pastored for six years, and beginning a new ministry across-state. My personal challenge would be obtaining a teaching position in our new locale, at a time when there were more teachers than positions available. First, he “introduced” me to Diane, a delightful young woman—also a teacher. Her parents were members of our new church. Diane actually attended elsewhere, but every now and then would join her parents on a Sunday morning. She visited shortly after our arrival. Third, God created many substitute opportunities for me at Diane’s school, but fulltime employment seemed unlikely. No one was close to retirement; no one was moving. Meanwhile I applied at public schools within a reasonable commute of our home. But in April, without even an interview, God prompted the headmaster at the private school to offer me a position. One of the fourth grade teachers had just been elected mayor. Trying to fulfill those responsibilities and teach was more than she wanted to tackle. I started the following August, which gave me the entire summer to prepare. My classroom was right next door to Diane’s. When that job opportunity opened up, it was as if the spotlight turned on behind the scrim. Suddenly I could see how God had carefully arranged the whole sequence of events. My disappointment over leaving our previous home and church turned into a God-ordained appointment at that private school, one that lasted twenty-two years. 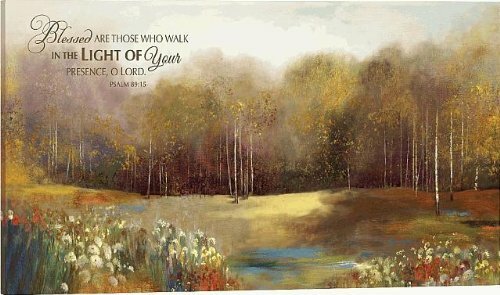 And keep your eye on that scrim, for the glorious moment when you can see how he’s been orchestrating events for your benefit (Jeremiah 29:11). *from Thrive, Don’t Simply Survive by Karol Ladd, Howard Books, 2009. When have you glimpsed behind the scrim of your life? What events has God orchestrated for your benefit? Share with us your story in the comments below!